Stony Brook Auto Body of Chelmsford MA, is a leader in the auto collision repair industry. We offer a fast, reliable repair option which stand above the competition. Our facility of highly trained staff are committed to safe, quality repairs and customer convenience. Stony Brook Auto Body was est. in 1979 and since then, we have committed ourselves 100% customer satisfaction. We do this by providing safe, high-quality repairs and returning the car to the customer as quickly as possible and in perfect pre-accident condition. Below is a list of some of the certifications We've compiled links to the sources and agencies below to provide you with more information about each certification or endorsement. In addition to our I-CAR certification, the National Institute for Automotive Service Excellence (ASE) also certifies the technicians at our auto body repair shop. Established in 1972, ASE works to improve the quality of vehicle repairs to ensure that you get the best service possible. 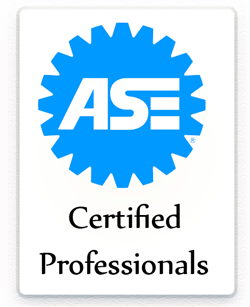 Each ASE-certified technician must pass one of ASE's 40 exams and have a minimum of 2 years of auto body repair experience. You know you can trust the knowledgeable, certified repair technicians at our auto body repair shop for all your collision repair needs. You will hear about our warranty from anyone who has had their vehicle worked on here at Stony Brook. 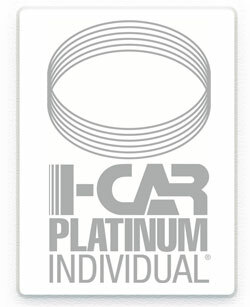 It is one of the best warranties available in the industry today. If you are not 100% satisfied with the workmanship, paint finish or overall feel of the car after we are done working on it, we'll take care of it willingly and without charge for as long as you own your car. It provides peace of mind to customers who have never visited Stony Brook Auto Body before.